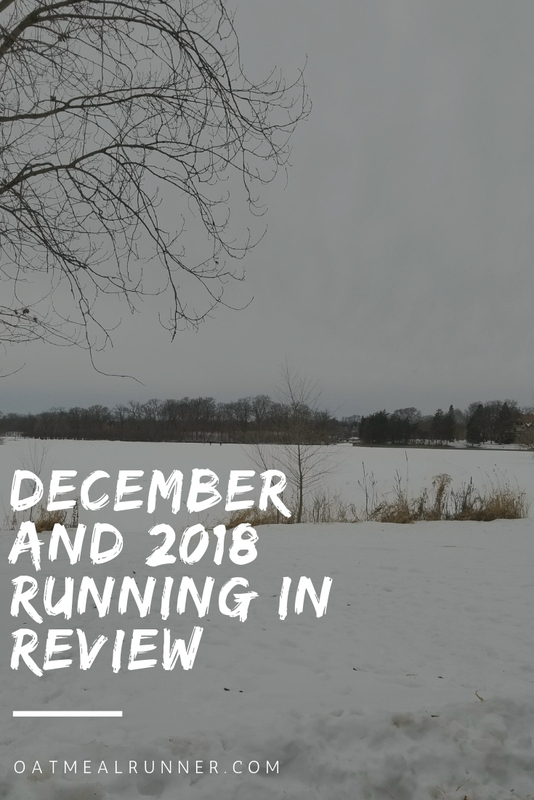 Instead of spreading this across two posts, I’m going to combine my December and 2018 running recaps into one quick post! I finished off December strong with my last race and just over 70 miles. Between the weather and holidays at the end of the month, my runs got shorter as I was listening to how my body felt while running. I still got in four runs a week during the holidays but nothing longer than four miles. Overall, 2018 was an awesome year of running for me. I hit multiple PRs, mixed up my training and tried out trail running! I also took a break from race training over the summer which was the first time I haven’t been training over the summer. It was really strange but also freeing to not feel forced to run in the heat and humidity. My average pace also went down 45 seconds from 2017 to 2018, not surprising that I had multiple PRs this year! Even though my pace is currently slower (although it’s around my average pace for 2018) I know I have the strength to run fast! 2019 is looking to be a year of change and that includes in my running. It’s exciting and scary knowing what’s coming and what is going to be changing. Even though we are eleven days away from the first official day of summer, Minnesota has been in summer-like weather for the last couple of weeks. So let’s take a look at the top five post on Oatmeal Runner from this spring! Five Things I’m Doing Differently for my Second Marathon: What things did I cut out or add in while training for the Eau Claire Marathon? How Do I Recover After a Long Run During Marathon Training: How I recovered after an awesome 19 mile run (food, foam rolling and napping). Five Tips for Getting out the Door and Running in the Morning: the tips I’m using to get me out the door for my 5 a.m. runs during the work week! Should You Run A Marathon? : 13 reasons why running a marathon might not be a good idea for you right now. Training Tip Tuesday #16: Doing a Long Run on the Treadmill: After running 20 miles on a treadmill due to a blizzard, I wanted to share what made that time a little bit easier and go by faster. You can tell I was in the midst of marathon training this spring, four of those posts are all marathon related! Want to see something on Oatmeal Runner this summer? Let me know in the comments.